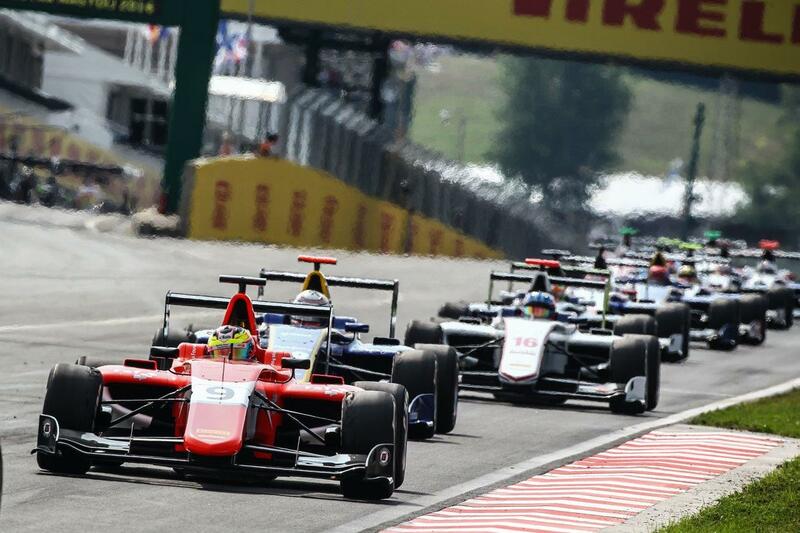 A sticking throttle prevented Jake Dennis from improving on a seventh place finish in the second and final race of the fourth weekend of the GP3 Series season at the Hungaroring. After scoring his first series podium with a third place finish in the opening race the previous day, Dennis began the reversed grid second encounter from sixth position on the grid. The Racing Steps Foundation-backed driver planned to attack the opening corner with the first lap playing a major part in the finishing positions due to the limited overtaking opportunities around the 2.7-mile circuit. Dennis, however, made a poor start putting him into the clutches of other drivers around when they arrived at the first corner. Dennis lost two places down into eighth position before a safety car was immediately required after the Jenzer Motorsport car of Akash Nandy hit the barrier and rolled following contact at the back of the field. At the restart on lap five, Dennis was immediately promoted to seventh when Koiranen GP’s Ralph Boschung tangled with the ART GP car of Charles Leclerc. But Dennis was unable to take further advantage and chase race one victor, Boschung’s team-mate Matt Parry, when his throttle began to stick. The mechanical issue quickly began to hurt Dennis’ tyres, preventing him from chasing Parry and putting him into the sights of the third Koiranen GP car of Matevos Isaakyan. While Dennis managed his rubber, his Arden International car was still quick enough to repel Isaakyan to the chequered flag. “My launch wasn’t great and unfortunately I didn’t have the drive to turn one,” Dennis said. “The sticking throttle really affected me and damaged the tyres so I had to really manage them.